Mopar OEM Thule Roof-Mount Ski Carrier Mopar OEM Thule Roof-Mount Ski Carrier, Thule Roof-Mount Ski Carrier, Mopar Roof-Mount Ski Carrier, Mopar OEM Roof-Mount Ski Carrier, Mopar Cargo Carrier, Dodge Magnum Snow Sports Carrier,Dodge Charger Snow Sports Carrier,Chrysler 300 Snow Sports Carrier, [Mopar TCS92725 Ski Carrier] - $149.95 : 3rd Strike Performance, Your Source for Late Model MOPAR Performance Parts and Accessories! Don't hit the slopes without your gear. 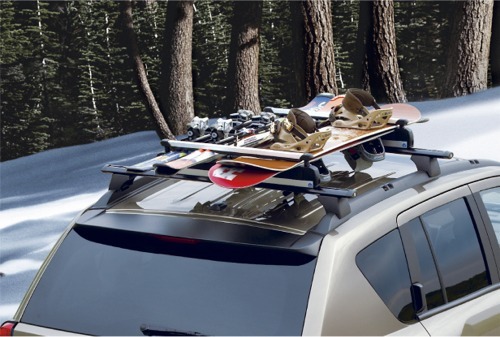 Mopar makes it easy to load and unload your skis and snowboards with a Roof Mounted Ski and Snowboard carrier. Made from anodized aluminum, these carriers can hold up to six pairs of skis or four snowboards, or a combination of both. Integrated locks are added for security and open from either side for easy access. Transport your equipment with security and convenience. Less time spent loading and unloading means more time on the slopes!